Brothers Cider T-Shirts available now! We are extremely excited to announce that Eyesore Merch are now an official stockist of Brothers Cider merchandise. Like us, Brothers are serious music fans! You will more than likely have seen them at some of the leading UK music festivals hosting bars at Glastonbury, Big Beach Boutique, Creamfields and The Glade Festival. 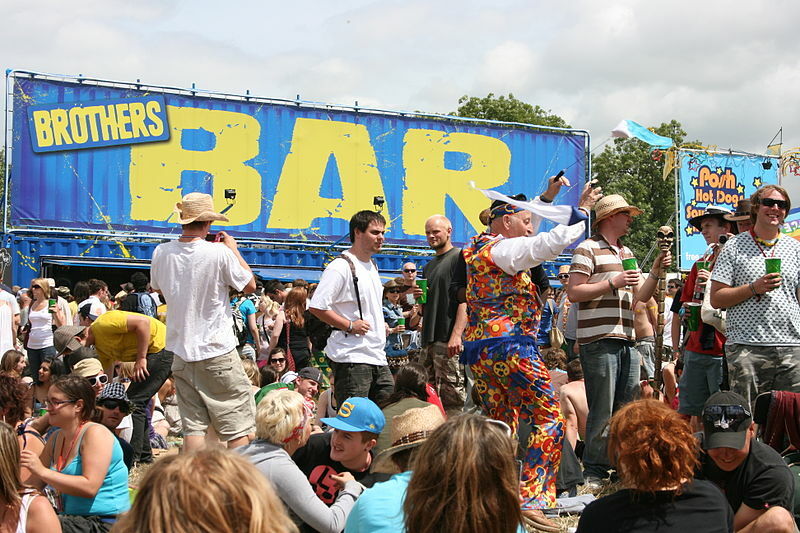 Brothers can also be found at international festivals such as Peats Ridge in Australia. We are currently offering a men’s and women’s T-Shirt design for the Brothers ‘Festival Pear Cider’. We hope to expand this range in the coming months and bring you many more exciting Brothers merchandise products. For now, head over to our store by clicking the image below, check out the ‘Festival Pear Cider’ design, then buy with confidence. 2 more BOSSK merch designs now available! Bossk recently played their first come-back show in London with Unsane and Big Business to great response. The guys played to a sold out crowd and went down a storm, selling tonnes of merch after their set. More shows are being booked right now with a support to Baroness just confirmed for July 11th in Mancester. Be sure to get your Bossk merch ordered now while stocks last. Monthly Free Prize Draw – Every month you could Win 1 T-Shirt of your choice from our store! Log in with your Facebook account or email address then Like us on Facebook, Follow us on Twitter and Tweet about the competion. The more times you enter the better your chance of winning.